The Nyeri Agriculture department has started training farmers on fish feeds formulation to lower production cost. CEC Henry Kinyua said the cost of fish feed contributes to 70 per cent of the total production cost. He said the fisheries department’s plans to revive Wamagana Fish Factory. Wamagana MCA Sebastian Theuri also sought to know what the department was doing to encourage fish farming so the factory can supply fingerlings. In 2017-18, the directorate rehabilitated 226 fish ponds, which had been abandoned by farmers. “We are encouraging other fish farming technologies such as the cage culture system. In 2017-18, 10 cages were constructed, installed and stocked with 10,000 tilapia monosex fingerings at Chinga Dam,” Kinyua said. The system will be rolled out in other public dams. 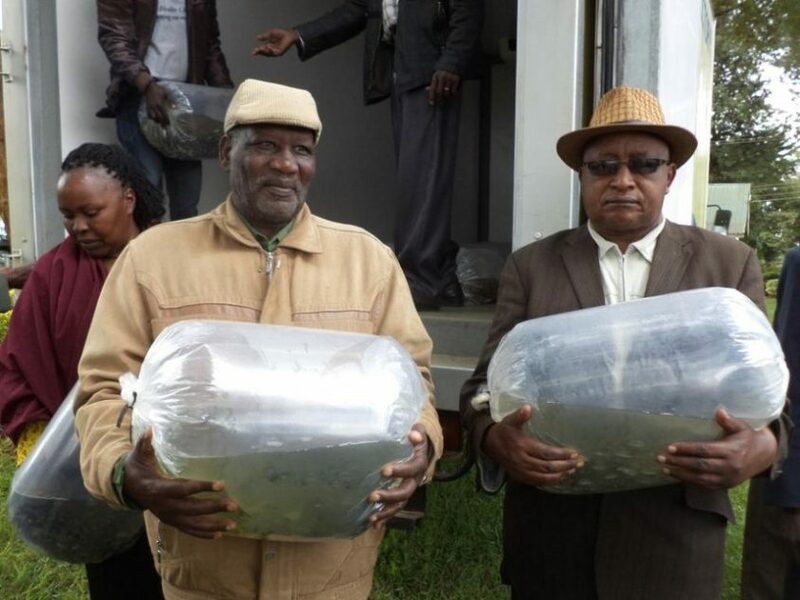 CEC Kinyua said the government will promote greenhouse fish farming to increase growth rate.